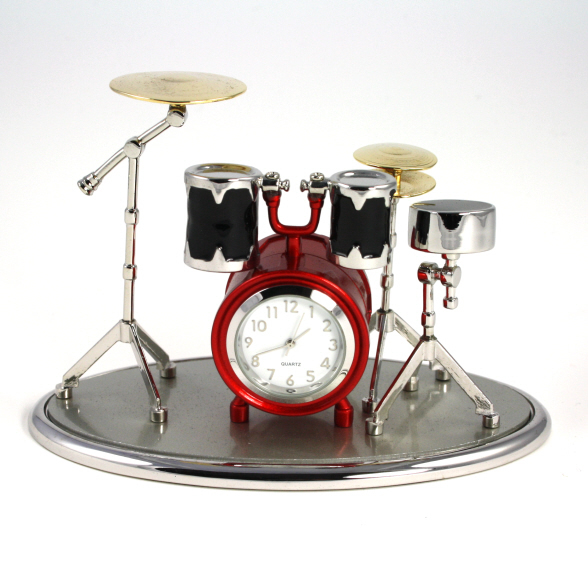 Novelty drum kit miniature clock. A fun gift for your favourite musician. A Mouse and Coaster Set for electric guitar enthusiasts! Silver coloured guitar cufflinks for the musician in your life. Great detail. Boxed.